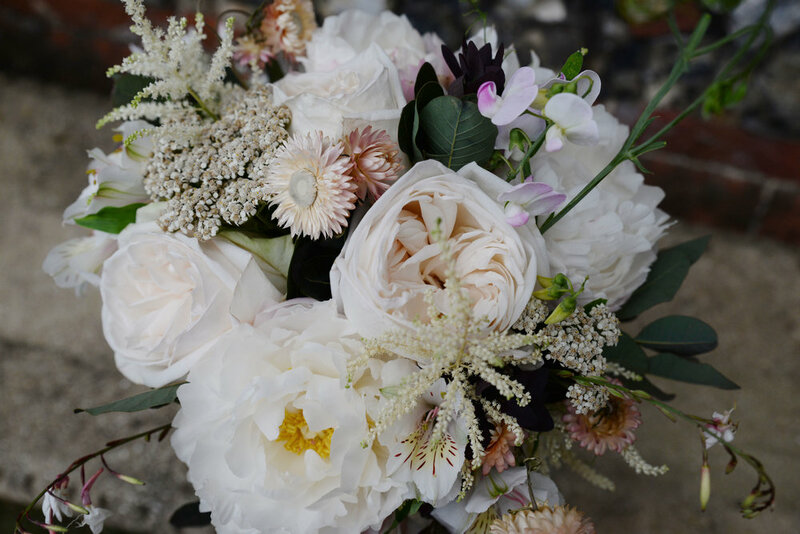 I got to make a beautiful bespoke bouquet for a intimate wedding at the end of this July. Its really lovely when the opportunity arises to put all your focus on making one exquisite design that will be the floral focus of an event. The bride wanted soft pastels with a twist, with a touch burgundy in it. As it was high summer we went with all the scents, combining David Austin pale pink roses with light peonies. Lucky for me i was staying at my parents at the time and was able to cut some Cotinus from the garden, along with andan everlasting sweet pea.